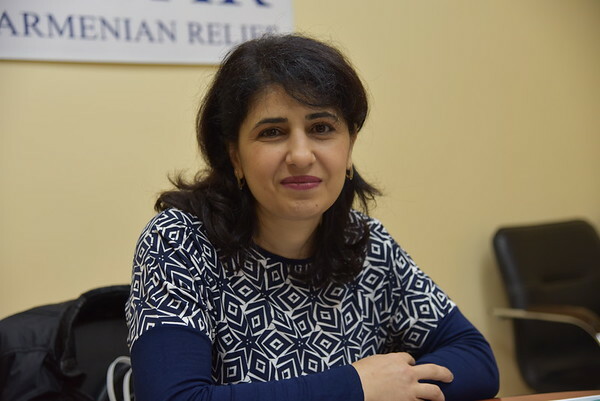 Dr. Zhanna Chalyan of Artsakh’s Martakert Medical Center is a physician who actively tries to improve her skills every day, and she loves to share her new-found knowledge with her colleagues. She spent October in Yerevan to undergo training at Shengavit Medical Center through FAR’s Continuing Medical Education Program (CME). Dr. Zhanna was able to undergo the month-long training thanks to the Armenian American Health Professionals Organization‘s (AAHPO), which supports CME fellows from Artsakh. After graduating from Yerevan Medical University in 1999, Zhanna returned to her roots in Artsakh where she started working as a general doctor at the local clinic in Martakert, eventually becoming their head of general medicine. In 2002, she decided to do some further coursework at Martakert Medical Center to specialize in anesthesiology. In 2012, she refreshed her skills in anesthesiology in Yerevan through CME. This time with CME, she mainly focused on anesthesiology in obstetrics-gynecology.